Lurking ominously behind the canaled facade of Amsterdam’s street view, is Amsterdam Metalfests’ haunting spell waiting to be cast. May 19thmarks the first edition in the biggest hall of Amsterdam’s much revered venue Melkweg, The Max, and features an array of metal as symphonic, technical, melodic and stoner-groove are all on tonight’s menu. 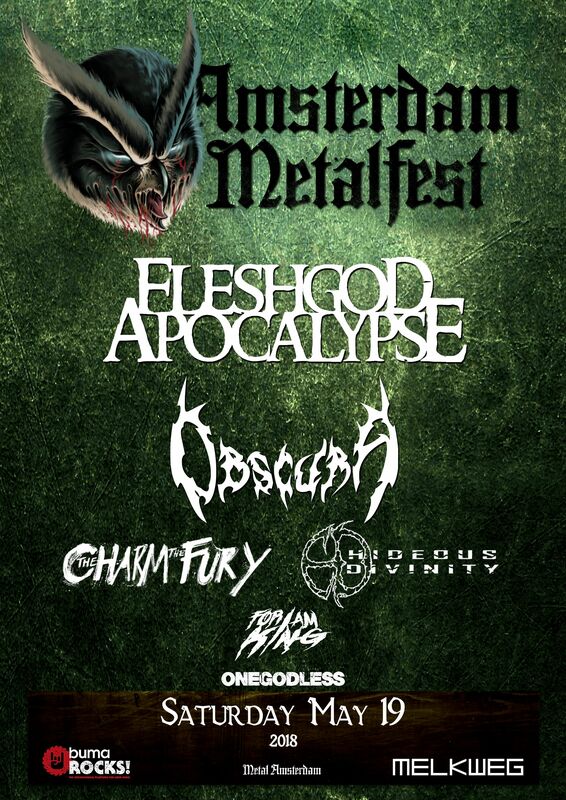 This year, Amsterdam Metalfest has the support of Buma ROCKS! Doors open at 16:00, tickets cost €22,50 (excl. membership).